SCIENTIFIC SOLUTION TO AIR AND SURFACE POLLUTION! By going far beyond simple filtration and dust collection, active air purification can remove smoke, odors, odor-causing bacteria, airborne contaminants, and contaminants on surfaces that simply can’t be reached by other types of air purification. 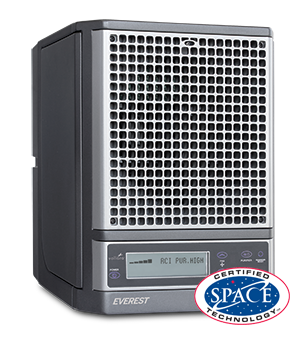 Treat the air and surfaces in your home and office on a continuous basis with NASA-inspired, FreshAir Certified Space Technology. Take smoke and odors away fast with the tried-and-true FreshAir. And never travel without fresher indoor air with a FreshAir Focus. Based on processes found in nature, our recommended air purification systems can bring the power of science and nature to you and your family. Have you ever thought about what’s really polluting your home environment? Little ones bring the day’s germs home with them and spread them everywhere. Garbage cans are funky. The smell of leftover spicy food can linger for days. And who knows what surprises our pets bring in with them. Unique FreshAir technology, goes far beyond simple filtration and dust collection. Active air purification can remove smoke, odors, odor-causing bacteria, airborne contaminants, and contaminants on surfaces that simply can't be reached by other types of air purification. 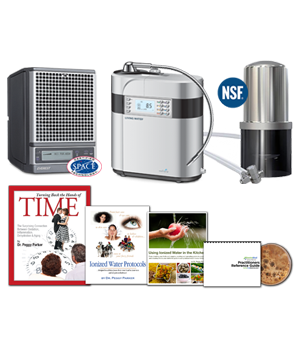 Treat the air and surfaces in your home or office on a continuous basis with NASA-inspired, FreshAir certified space technology. 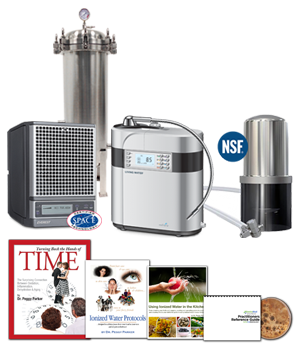 FreshAir purification systems can bring the power of science and nature to you and your family. FreshAir uses “Hydrogen Peroxide Molecules” to kill 99% virus, bacteria and mold, in air and on surfaces while eliminating odors and airborne allergens! Today’s modern indoor environments are rife with contaminants. 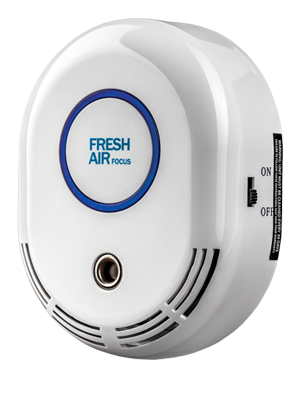 The FreshAir Personal provides nature’s own powerful properties with a built-in ionizer that attracts free-roaming particles and captures them, reducing allergens and pollutants that invade the space you breathe. 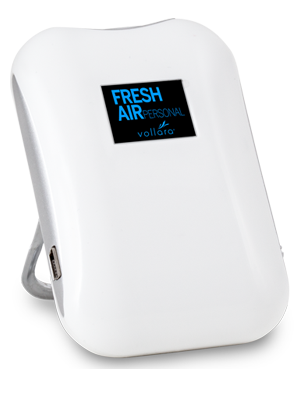 The FreshAir Personal creates an almost particle-free zone around the wearer by generating high intensity ion streams that add charges to nearby airborne particles. These charged particles repel each other and adhere to surfaces out of your breathing zone. This means substantially decreased concentrations of allergens, smoke, dust, and pollen in the air you breathe. The FreshAir Personal is designed and engineered to be so simple to use that it encourages daily usage, like wearing a watch. 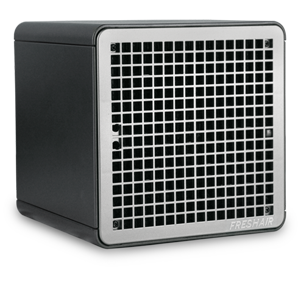 The FreshAir Focus has the latest technologies and design to provide a clean, fresh environment in a small, compact area. Using natural processes, literally focus on what keeps air fresh and bring it indoors. 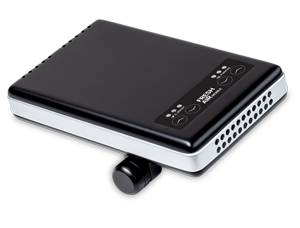 Simply stated, the FreshAir Focus lets you breathe easier. Hampers, trash cans, diaper pails…they’re all designed to store smelly stuff. How do you stop them from smelling up the whole room? The answer is to take one of nature’s most powerful deodorizers and target the very source of the problem; to literally focus what keeps fresh air fresh, and bring it indoors. No sprays, no perfumes – just nature. FreshAir Cube brings the science and safety of nature indoors. Natural, odor-eliminating, pollutant-reducing processes found in sunlight and thunderstorms are recreated in the home. FreshAir Cube with ActivePure Technology, Certified Space Technology™ creates healthier living spaces. That means less money spent on harmful chemical sprays and wipes, and more time to spend with loved ones.